Disapproving parents who dismiss their kids' vocational aspirations in pursuit of academics (Taare Zameen Par, Secret Superstar and even Dil Dhadakne Do) has been a familiar trope in Bollywood of late. This is where Fanney Khan comes across as a refreshing change as it has a factory worker father, Fanney Khan (Anil Kapoor) who is ready to move mountains to launch his daughter into the world of music with a private album. The first half creates Fanney's world, his family and friends, the life between factory and chawl, and dreams that seem far-fetched because of the expensive tags they come along with. It's real, relatable and packed with fabulous performances. Anil Kapoor is impressive in a couple of scenes. But the real discovery is Pihu Sand who plays Fanney's daughter, Lata. Though her anger towards her father is neither explored nor explained in detail, she owns her lines and manages to hit every note correctly, in her portrayal of an irritated, rebellious, ill-mannered teenager. Her dancing on the birthday Bollywood song is commendable. However, the situations in the second half go from implausible to bizarre. This involves a kidnapping, a demand for a dog, a half-baked tune, an audition and a love story that seems more forced than the love stories on MTV Splitsvilla. Rajkummar Rao (playing Adhir, Fanney’s colleague) smiles his regular sheepish, simplistic smile to offset the fake, busy lifestyle of a superstar singer, yawn yawn! On the other hand, Fanney Khan is busy manipulating the audiences into tears. He loses his job. He starts driving a taxi. He is badly treated by his family. He loses respect. Yet he wants to launch his daughter even if it demands him to act out of character. The film gets reduced to portraying Fanney's mahanta than addressing any large issue. Even the climax plays out so dramatically where Fanney gives some gyaan on life and dreams, that it infuses a new confidence in his daughter on stage leading her to kill it in her performance. I could almost hear someone scream, haarna nahi Babita! Some of the sequences play completely out of context. A young girl being leched at by a manager has no consequence or context. There are references of body shaming but these are never addressed fully. Rajkummar's character is so flat that even an actor of his calibre can’t infuse much sense or life into the proceedings. 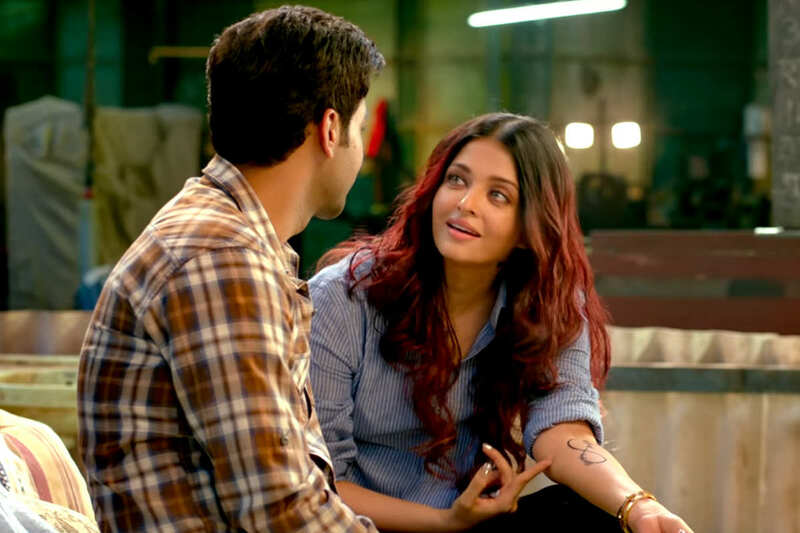 Aishwarya Rai Bachchan (in the role of Baby Singh, the kidnapped singer) tries hard to act all natural alas ends up smiling and laughing, with emotions half-baked and oh-so-fake. I have never seen a more beautiful person held hostage with generous supplies of make-up and hair styling. The film though manages to have a light-hearted vibe and some of the scenes are genuinely funny. The music is also pretty hummable. I found myself almost dancing to Fu Bai Fu. And Acche Din by Amit Trivedi is a good spin on the famous phrase used cleverly to comment on Fanney Khan's financial situation. But overall Fanney Khan lacks depth or purpose.